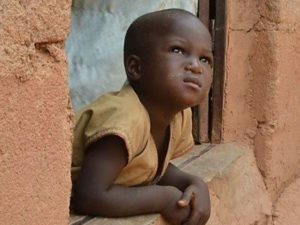 The man in a village at the outskirts of Tsafe in Zamfara State is just one in thousands, maybe millions, of parents in northern Nigeria, but he provides a perfect example. He produces so much more children than he can cater for. Once his male child is around age four to five, he buys a plastic bowl for him and takes him to the bus station in Tsafe and gives the driver N500 and says ‘a daura min shi a injin’ (let him sit at the bus engine — behind the driver’s seat) ‘and please take him to Malam … in Zaria or Kaduna or Katsina’. He never sends them to Gusau, because it is close by. At that bus station, he has bade farewell to the child and freed himself from the “burden” of feeding, clothing, providing shelter, educating and training that child — his own child whom he gave birth to! On arrival at the city or village, usually hundreds of kilometers away from his family, the almajiri child is received by a Malam who is expected to teach him to memorize the Qur’an by rote, without its translation, interpretation of its meaning, the prophetic traditions, Islamic history, morality, or value system. Interestingly, the child is taught nothing about how to worship or how to relate with other members of the society. Worse, the little child has to grow up without any form of parental or adult care or supervision. Nobody will cater for his feeding, clothing, shelter, healthcare, education or training. A malam can have up to 200 almajiris at a time, and he does not give one tiny damn about how they manage to feed, bath or ease themselves. In other words, these little children are expected to survive a parental exile. Parents who sentence their children to almajiri practice don’t deserve to have them in the first place. They are already creating tomorrow’s insurgency while we watch them as if it is none of our business. Once parental care is omitted in child upbringing, and the irresponsible culture is practised on such a large scale – breeding over ten million almajiris at a time, then we have at hand a perfect recipe for disaster. I realized that the over ten million almajiris in northern Nigeria are equivalent to the population of seven African countries put together; like Gambia, Gabon, Namibia, Swaziland, Botswana, Cape Verde and Djibouti. What a monumental waste of human resource! The almajiri system of education has long been overtaken by civilization; but we live in denial of this fact. The system is just too good to let go, because it provides a convenient excuse for even the poor to produce children in double digits without having to worry about the financial burden of feeding or educating them. It’s a system that allows you to relinquish your responsibilities to the society — and encourages you to use religion as a cover for your laziness and irresponsibility. Gross child abuse, child destitution and child trafficking are happening on a massive scale right in our neighborhoods with zero effort by any legal or transitional authority to stop it. This is an indictment on all of us — our people, our Imams, our Emirs, our governors and all. We move around with a big scar on our common psyche, though not without consequences, both immediate and remote. Next articleWho Becomes Next VC of UNN?